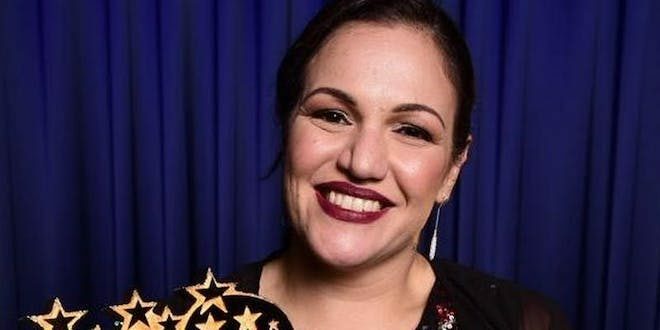 Andria Zafirakou 2018 Global Teacher of the year is speaking at the Arts & Media School Islington on Thursday 4th April. Her theme: the importance of making an arts education accessible to all. Currently, schools face extreme pressure to focus on the more academic subjects – mathematics, English, sciences. As a hugely successful arts and textiles teacher, Zafirakou believes that creative education is invaluable in teaching life skills such as communication, perseverance and self confidence. Zafirakou plans on continuing her work in arts education by spending her $1 million prize money on projects that promote the arts in schools and the surrounding communities. The AMSI Trust welcomes this unique opportunity to bring together educators and innovators, academics and artists to hear Zafirakou discuss the challenges and rewards of creativity in the curriculum with Sean Gregory, Director of Learning and Engagement at the Barbican. Funds raised from the event will subsidise creative opportunities for disadvantaged young people. We look forward to welcoming you at the School on April 4th.